The American Academy of Arts and Letters recently announced the recipients of its 2017 Architecture Awards, and Paul Goldberger, Joseph Urban Professor of Design at The New School’s Parsons School of Design, is among them. Goldberger — a Pulitzer Prize winning architecture critic, contributing editor at Vanity Fair, and former dean of Parsons — won $10,000 in the category of “an American who explores ideas in architecture through any medium of expression.” Goldberger was recognized, in part, for Building Art: The Life and Work of Frank Gehry, his full-length biography of the famed architect released in 2015. In the awake of the announcement, Goldberger will engage Frank Stella on the artist’s life and work during At The Parsons Table at the University Center’s John L. Tishman Auditorium on Thursday, April 13, 6-8 p.m.
Stella and The New School recently celebrated the installation of Deauville, a 45-foot painting by the renowned American artist that stretches above the Tishman stage. It is the most significant single gift ever given to The New School Art Collection. 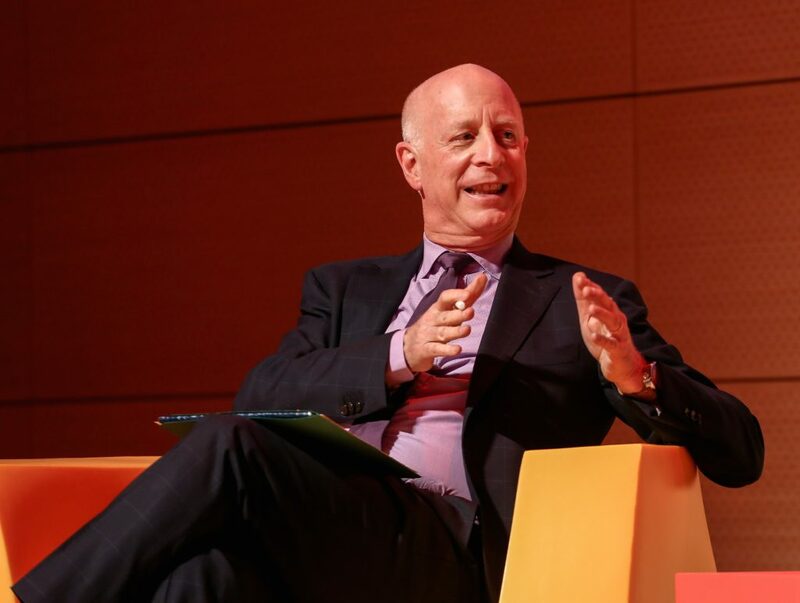 At the Parsons Table is an on-going series of conversational interviews with cultural luminaries hosted by Goldberger. At the Parsons Table guests have included such icons as Ralph Lauren, Mickey Drexler, Robert Wong, Chuck Close, Bruce Mau, and Donna Karan.